Pagham will be looking to pull together as the club look to draw a line under one of the poorest runs in the side’s recent history and end a five match winless streak. Past years have seen the Lions going into the final month of the season with silverware in their sights. Instead, the Nyetimber Lane side will be hoping the 2018/19 season finishes sooner rather than later. 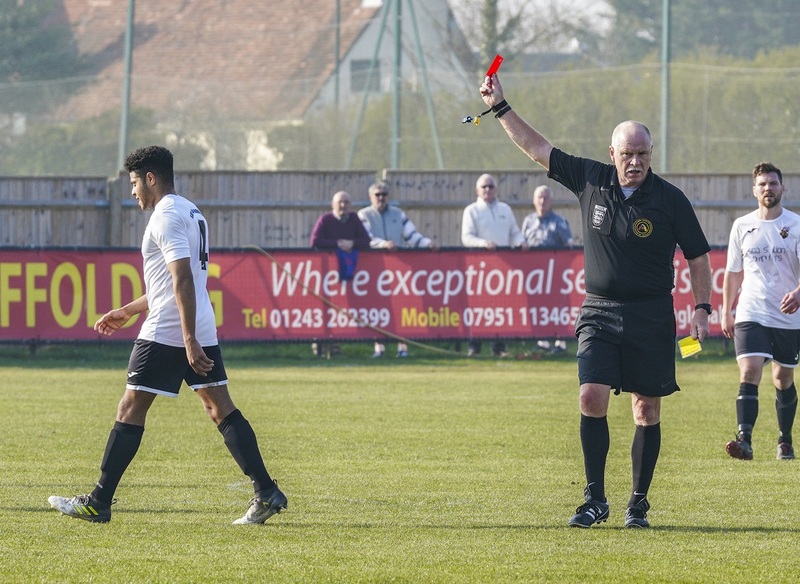 A poor winter was followed by a dreadful spring, with a run of eight defeats in ten sending Pagham plummeting into the bottom half of the SCFL Premier table. Lions will look to return to their fighting best tomorrow when they play third-bottom Little Common at Eastbourne United’s The Oval ground tomorrow (3pm). Pagham’s plight started just after Christmas when injuries ruled out a number of key players and two of their top scorers – George Gaskin and Callum Overton – left for other clubs. Scoring has been an issue with the club netting just seven goals in the last ten league matches. The problems have been clear to see as a young side looking ahead to a positive campaign next season show plenty of endeavour but struggle to get themselves on the scoresheet. That trend continued last weekend when a spirited Lions side pushed the fifth-placed Tigers all the way in a 2-0 defeat. Despite losing Ryan Davidson towards the end of the first half for two bookable offences, Pagham had a number of chances to take the lead. Instead it was the visitors who broke the deadlock, netting twice in the last ten minutes to steal all three points. If there’s a silver lining to the dark cloud hanging over Nyetimber Lane it is that the club’s opponents tomorrow are on an equally bad run of form. Common too have lost their last five in a row. But their struggles go back beyond Christmas with the club winning just once in 22 league matches, which leaves them fighting relegation.